Skate fans are desperate for a new entry in the skateboarding simulation series, and they're doing everything within their power to get it made. 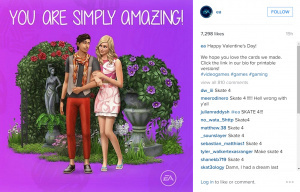 The company's Instagram page, which has almost a million followers, is getting bombarded by eager 'boarders who want their favourite franchise to make a comeback. 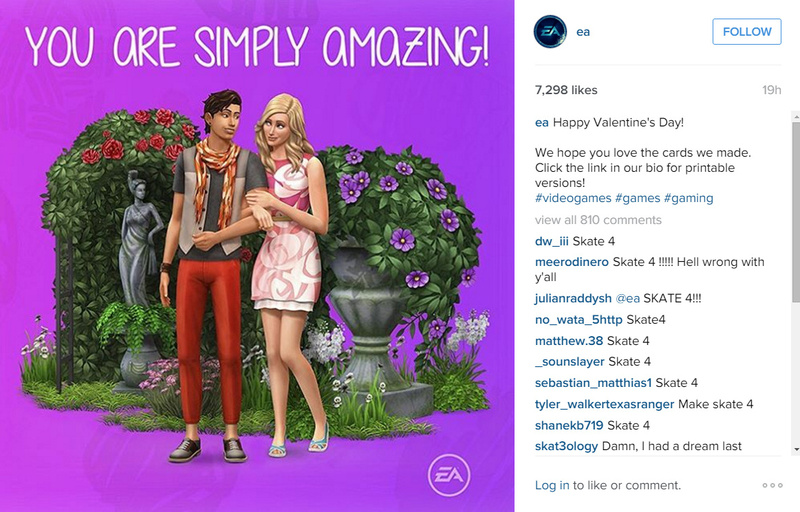 For example, an innocent Valentine's Day post showing a couple of The Sims characters has 800 comments, the vast majority of which say "Skate 4" in various permutations. And it's the same for practically every image that the publisher's posted. It's a similar story on Facebook and Twitter, though admittedly to a much lesser extent. The last entry in the property, Skate 3, launched almost five years ago, and got off to a slow start. However, a series of PewDiePie videos actually caused the PlayStation 3 game to climb up the charts, forcing publisher EA to print a new batch of copies. The series' resurgence under the Swede is likely the reason for these requests, which the company surely has to be paying attention to now. 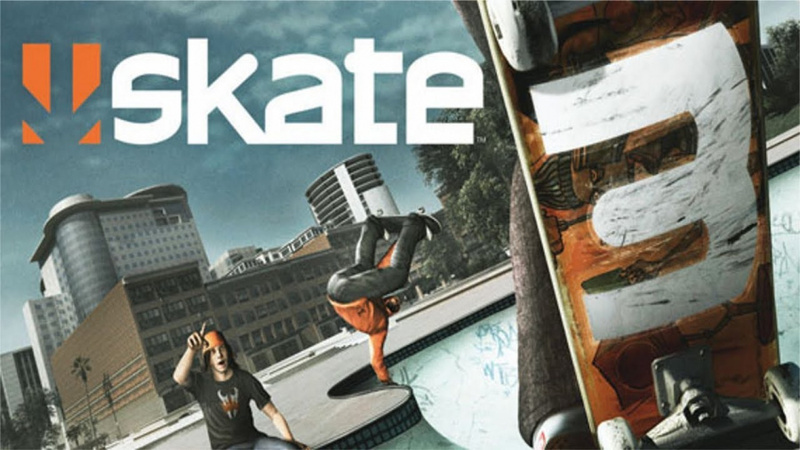 Well, while I admit that a new Skate would be welcome these days (especially after THPS5 was hot garbage), the development team is dead, and even before that happened I don't think they had any interest to continue the franchise. Sad to say, but I don't see it happening. Better off hoping Tony Hawk can get better. I want Skate 4 so badly. I played the games but never owned them because I didn't have 360 or PS3. I'd definitely buy a new one on PS4. Heck, I'd settle for a trilogy collection. Where's my snowboarding game? Nintendo refuses to resurrect 1080, and SSX and Shawn White are all but relics of the past. You can't tell me there's no demand for at least one game in the snowboarding genre. I agree, the Skate series was excellent. @ApostateMage - I would love another Fight Night! I thought Skate (the first one) felt stale/lifeless, and I never really felt at home with having the tricks on the analog (and they definitely didn't feel more "real" there). I was really hoping for a good Tony Hawk, maybe if a new Skate comes out and trounces Tony Hawk 5, it will show that studio that the genre is still in demand, if you just make a good game! @JaxonH I am with you there, but only if by "Where's my snowboarding game?" you mean "Where is my SSX Tricky like snowboarding game?" because Shawn White, and all of the SSX games (which I sadly bought each one) after Tricky, were meh. Give me Tricky! Maybe a Tricky reboot? I would be game for that! PLEASE! Help me SSX Tricky. You're my only hope.